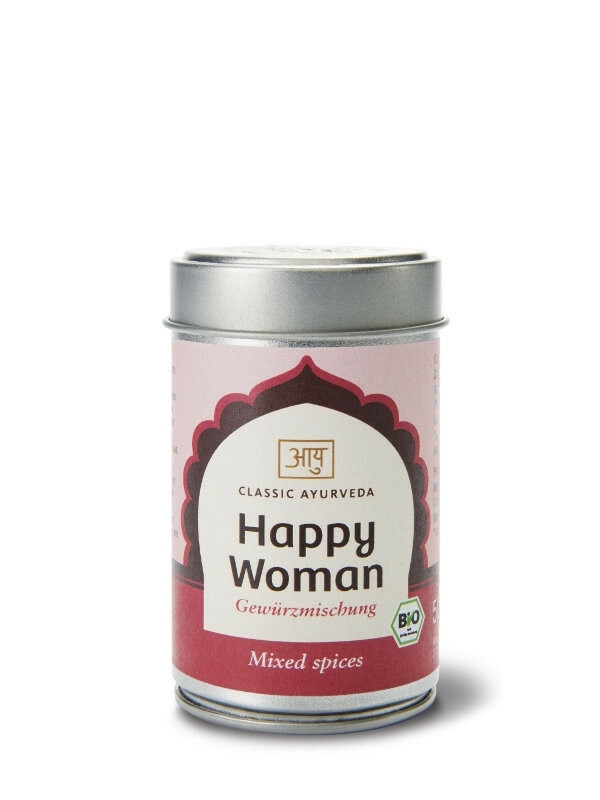 A spice mixture specially made to appeal to women's tastes. In ayurveda, spices are not just used to improve the taste of food but also to influence a person's mood. Lightly warmed in a small amount of ghee, this mixture is not only suitable for rice dishes and dahls but also for vegetables and soups.